For those who truly desire a comprehensive understanding of the exigency of the incarnation, centrality of the cross and the sine qua non of the resurrection…This is a must read! Dr. Williams brilliantly weaves together orthodox theology with practical application resulting in a work meaty enough for the scholar yet digestible and building for the everyday church goer. This book is an important contribution to the 21st century Christian community. It presents a strong unapologetic biblical methodical argument of The God Man, Jesus, based on Scripture with strong visual illustrations. As such, ministers and lay persons would greatly appreciate and benefit biblically and theologically in regards to the natures and function of The God Man. Therefore, I strongly encourage and recommend everyone to read this book which presents a clear succinct understanding of The God Man. In 451 the Council of Chalcedon meet and confirmed that Christ had two natures: one divine and the other human. Over the centuries the concept of the "God Man" has confused, intrigued and escaped the logic of theologians, preachers, and students. In his book "The God-Man", Elder J. D. Williams seeks to explain his concept through comprehensive exploration and exposition. 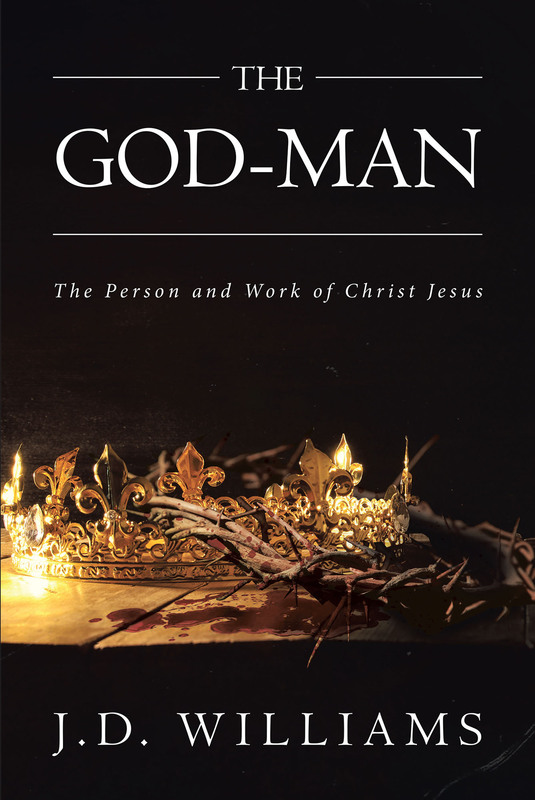 Elder Williams has provided an excellent text that includes research, sermons and illustrations that are designed to enlighten the mind, while providing further dialogue among those who wish to gain a deeper understanding of the term the "God-Man". --Rev. Dr. Carl L. Washington, Jr.
Dr. J. D. Williams is a profound pedagogue who's deep and contemplative studies are captured within these pages. His insightful perspective regarding the revelation of the mystery between God and Christ is a must read for all in search of a more weighty theological enlightenment. -- Bishop Eric R. Figueroa, Sr.